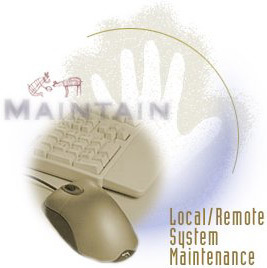 Most of the custom Internet applications we develop are hosted, supported, and maintained at our facilities. Because the code and data models are written and designed by our company, tuned to work with our hardware, we can provide exceptional service at competitive costs. Support technicians are available to handle your customer's questions about your site or application. E-commerce and other Internet applications require special handling and management. Our innovative firm keeps your service growing and expanding. If you need hosting beyond what most web farms offer, we can custom tailor a hosting plan to meet your needs. If you run an existing network, or are building a new one in-house, we can provide consulting for all phases, and setup a service contract to help you manage and maintain your network long term.